The primary YouTube destination for InfoWars, a conspiracy theorist website owned by Alex Jones, has received a strike from YouTube for a video that portrayed David Hogg — one of the survivors of the Florida school shooting who has since emerged as an outspoken gun control advocate — as a crisis actor. YouTube issues strikes against channels that violate its Community Guidelines, though strikes expire after three months. One strike results in a warning, two strikes trigger a two-week suspension, and three strikes (within a three-month period) results in a channel’s termination. While channels receive strikes all the time on YouTube, this punishment is notable given that InfoWars serves as something of a poster child for conspiratorial content. 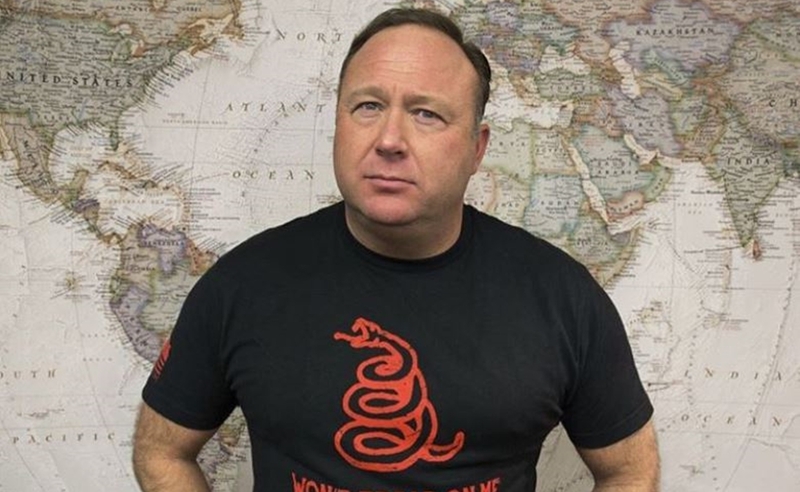 Jones preposterously claimed that the Sandy Hook Elementary School shooting in 2014 was orchestrated by the U.S. government, and also made the wildly offensive claim that no children were killed that day. It also arrives as YouTube and other tech companies are attempting (and seemingly failing) to fight a proliferation of conspiracy theories and fake news following Russia’s interference in the 2016 election. Last week, for instance, a video making similar false claims about Hogg — that he was posing as a victim in order to push stricter gun control laws — hit the top of YouTube’s ‘Trending’ feed. While InfoWars operates several YouTube channels, CNN notes that the strike occurred on The Alex Jones Channel, which counts 2.2 million subscribers. Just like the aforementioned clip on Trending, the InfoWars video — titled David Hogg Can’t Remember His Lines In TV Interview — was removed for violating YouTube’s policies on harassment and bullying. “Last summer, we updated the application of our harassment policy to include hoax videos that target the victims of these tragedies,” a YouTube spokesperson told CNN of its decision. “Any video flagged to us that violates this policy is reviewed and then removed.” That said, CNN noted that there were three similar videos remaining on the InfoWars channel even after YouTube issued the strike — illustrating the enormity of YouTube’s task at hand.